Killer Characters: Heirloom Gardening - and Giveaway! 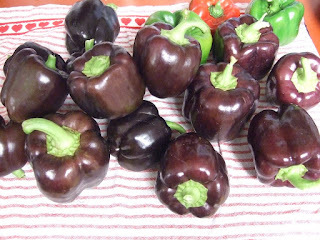 Heirloom Gardening - and Giveaway! 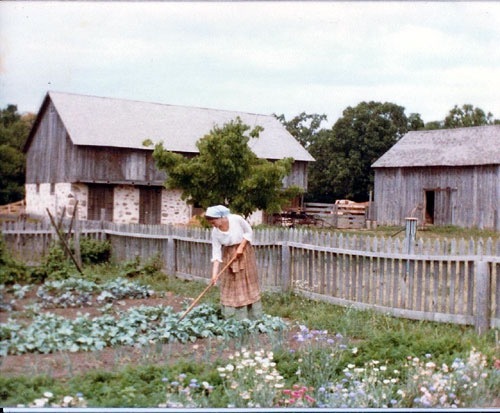 I really didn't know much about the importance of heirloom vegetables, fruits, and flowers until I started working at a large living history museum, Old World Wisconsin. What I've discovered is that botanists believe we've lost over 90% of our genetic diversity in the last century or so. For centuries, people saved seeds to replant their gardens, or obtained seeds locally. With the advent of long-distance food transportation, that began to change. Growers favored varieties that looked good after spending a week on a train car. Losing varieties also means that the plants which could have resisted the next blight might be extinct. Think of the Irish potato famine, when a terrible blight decimated crops. Historic sites play an important role in preserving some of these rare varieties. 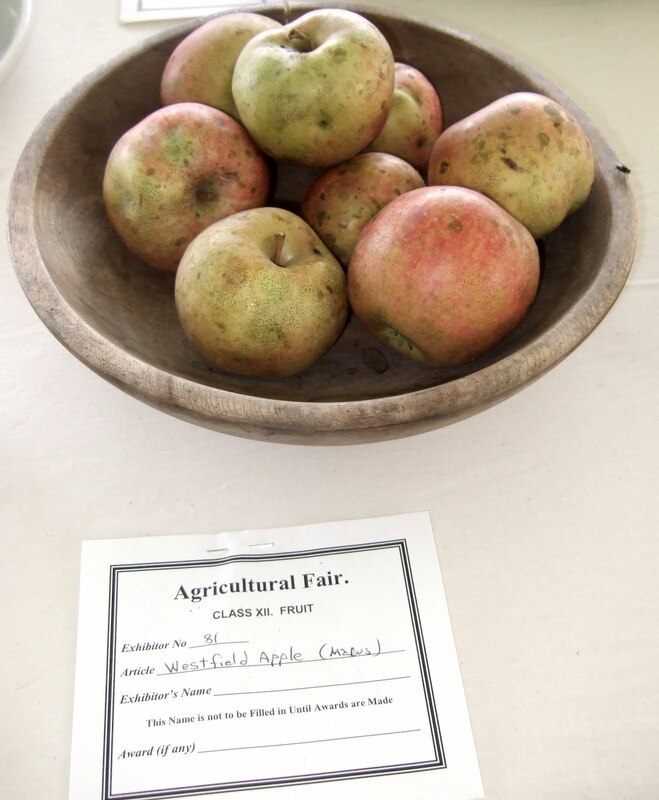 The apples below were displayed as part of a recreated Agricultural Fair at Old World Wisconsin. My friend Dellyn, who manages the gardens at the historic site, carefully chooses varieties that reflect the time period and ethnic group of the restored home or farm. Shown below is the Pedersen Farm, home to a family that emigrated from Denmark. Dellyn is involved with a group called Seed Savers' Exchange (SSE), which helps home gardeners network and swap seeds. SSE began in 1975, when a man who had brought seeds from his native Bavaria passed some on to his granddaughter and her husband. Interest grew among home gardeners. Want to participate? You'll have a hard time choosing among all the seeds available through SSE. Heirloom seed packets aren't nearly as rare as they used to be. I discovered Baker Creek Heirloom Seeds while visiting the Laura Ingalls Wilder Historic Home & Museum in Mansfield, MO. Baker Creek is right up the road. I plant a few new varieties in my own home garden ever summer. It's fun to taste different types of heirlooms. Some are just plain interesting. The Queen Anne Pocket Melons shown below have a sweet fragrance. Victorian women carried them in their pockets to stave off less pleasant odors. I also feel as if I'm doing something good by perpetuating endangered varieties. You can too! If you prefer to grow flowers, lots of heirloom varieties are available. And if you're not a gardener, you can support the cause by looking for heirloom varieties for sale at farmers' markets and some grocery stores. However, I should warn you: there is a dark side to the business of heirloom gardening. 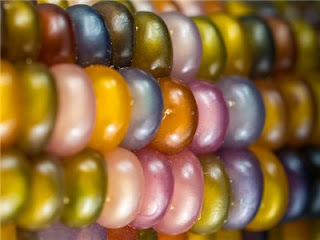 A few agribusiness corporations have decided that they want to control global food production, and eliminate diversity. I recently ran into some ruthless people who so lusted for profit and power that they'd do just about anything to achieve their goals. Even murder? Well, I'll let you read all about that. But don't let that cautionary tale discourage you from planting some heirloom seeds in your garden this year. You just may preserve something important! GIVEAWAY! Leave a comment below by midnight on March 19th for a chance to win a copy of The Heirloom Murders. Please include your email (such as reader -at- reader.com). Good luck! Author Kathleen Ernst worked at Old World Wisconsin for twelve years. What she learned about heirloom gardening helped inspire The Heirloom Murders, the second Chloe Ellefson Mystery. The Heirloom Murders won the Ann Powers Award for Best Novel from The Council for Wisconsin Writers. The local farmstand here sells heirloom tomatoes. It's so nice that they've become more common, isn't it? I love buying what they call "Ugly Tomatos" when their at my local fruit and veggie store.. My wife and I also love vacationing near Living History Villages around the North East and Central Eastern states. They are educational and fun. So often ugly vegetables have more taste! Sounds like we enjoy the same types of travel. I enjoy that too. I like to try new things each year. It is wonderful that many older plants are returning. They often have the flavors the newer "improved" one have lost. And it's disgusting that big companies are trying to corner the market on choices. Couldn't agree more, Libby. The big companies remain in the news, and often for actions that are only in the interest of short-term profit. I hope it made you think of spring! Thanks for sharing, Annette. Interesting that in your climate some of the older varieties might be hardier against the heat. As for tomatoes, I'm afraid I've been totally spoiled! In a local nursery every year. They are the best. Am thinking about starting a garden. This is the time of year to plan. All things are possible! Now that I'm retired, I can dig right in to gardening again. Love Old World WI!! I have a tiny garden --- all in pots---and I do as many of the pots in heirlooms as possible. I find they have much better flavor. I haven't done much gardening in pots, Sue, but I have room for it. Have to give it a try! Love the heirloom tomatoes that are available at the farmers' market. We have a great farmers' market nearby. It's so-o nice that people who can't or don't want to garden can still enjoy the benefits. Tomatoes are my absolute favorite. They make up about half of my garden! I think it's awesome that they are bringing back the seeds of the past. I like buying heirloom tomatoes at the Farmer's Market, they taste so much more flavor. You can really tell the difference, can't you? Hope you end up with an interesting variety or two! Kim, I'm sorry your experience wasn't more positive. I've had good luck growing heirloom tomatoes and saving seeds, but I do coddle them because I *love* tomatoes. I start seeds in individual pots and don't transplant until they're pretty good-sized because they get eaten otherwise. My husband and I have been wondering if heirloom seeds would work ok in container gardens. We are headed to Mansfield this summer so will have to go see Baker Creek also. Love learning thanks. 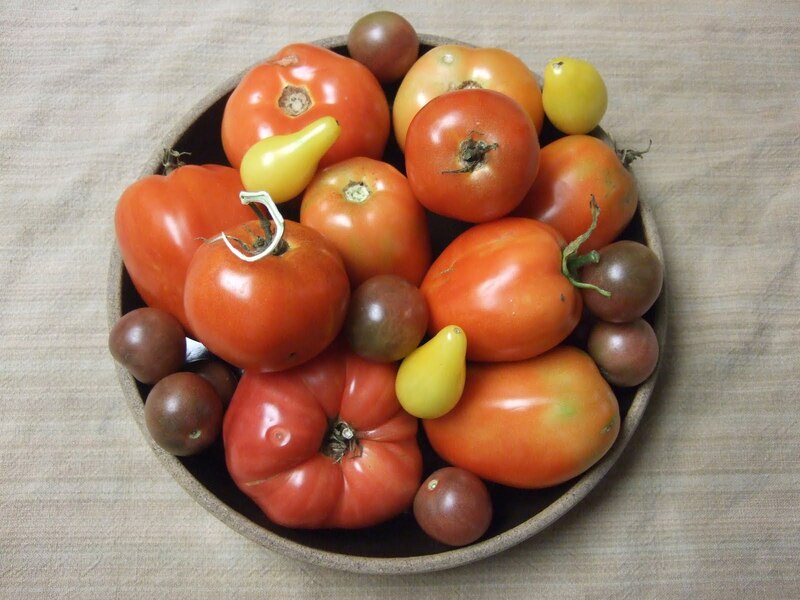 Deb, I haven't tried any heirlooms in containers, but one of the readers who posted here has had success. If you stop at Baker Creek, I imagine someone there could advise on the best varieties to try. I'm not a big tomato fan but your post is fascinating - as are your books! 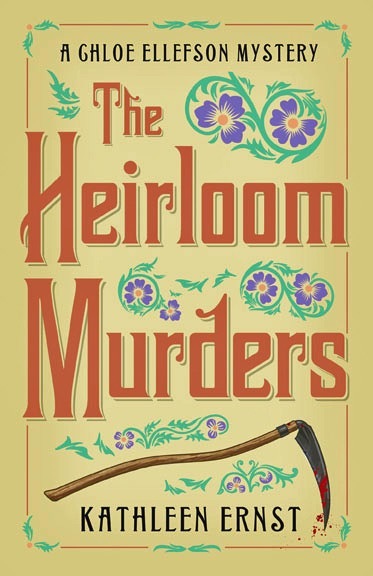 I'd love to win a copy of The Heirloom Murders. Is June 19th the entry deadline or did you mean March 19th? Ack - Karen, thank's for spotting that error. Sometimes my fingers move faster than brain! I'm so glad you're enjoying the series. Your name is in the hat. i love writers! passing along all sorts of cool info!!!! Malka, I'm one of those very luck people who gets to do something they truly love. It's fun to share! When our Farmers Market is open, the heirloom tomatoes are the first things I go to. Love them. They're so delicious. I love to garden and know I would enjoy it especially with a little murder thrown in. Thanks for the chance to win. Gardening and murder...a perfect combination. Heirlooms are fascinating. I love visiting our neighborhood farmer's market and pick up some of the heirloom tomatoes. But to discover there are pepper, corn, and melon? Wow, I love it. Lots and lots to choose from! 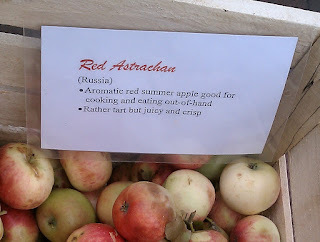 Hopefully more varieties will keep appearing at our farmers' markets. Judy, we are in sync. I haven't tried any gourds or corn. Maybe this year! My pleasure, Doward! Your name is in the hat. My father was a great one for gathering seeds. He often had a pocket full of them from his daily amblings. What a lovely image of your father! I'm hoping to try growing some heirloom tomatoes this year. Maybe I'll try some other vegetables too. Ali, tomatoes are my favorite, and there are lots of varieties to choose from. If I didn't grow anything else I'd grow tomatoes! My Dad always used heirloom seeds. Now that I have a garden, so do I. I plan on adding one or two varieties this year. Just have to decide what we all want to grow. It's that time of year! I'm starting to make decisions too. I love heirloom vegetables & herbs. Have been growing them for several years along with as organic as possible. We also can & freeze. Thanks for the chance for the book. Mary, I used to can but haven't in quite a while. I couldn't manage without my chest freezer, though! I don't even try to buy tomatoes from grocery stores in the middle of winter. I'd rather wait for the real thing. I love reading about heirloom varieties. I have not been able to garden for a few years, but am hopeful for this summer; I'm looking forward to at least trying some heirloom tomatoes. Kudos to you and Chloe for another wonderful giveaway. Merry Lu, wishing you all the best. Several readers have reported good luck with gardening in pots, if that might be an option. I'm delighted to think that the post brought back some good memories. Your great grandmother was clearly a very wise woman. Most of us today are much more divorced from the natural world. How very interesting. I have never done a lot of gardening due to allergies. I wish I could try though. Debby, oh, that's too bad. I hope that there is a good market near you! Three years ago, a friend gave us some heirloom green beans to plant. We have been able to save the seed from these beans each year and Lord willing, we'll plant them once again in May. Thanks for a great post! My pleasure, Connie, and good luck with the green beans! What a wonderful line of work to be in! I enjoy gathering seeds from my flowers to sow the next season. It is always enjoyable to see what comes up the next season and what they look like. Thanks for hosting this book and the information about heirloom gardening. I was not aware of all the different varieties that are out there. I haven't done very much with flowers, but I do grow an heirloom morning glory each year. It's beautiful and the seeds are very easy to collect. Ayleen, I'm not familiar with that site, but will put it on my mental list in case I ever make it to that area. I have not tried heirlooms in containers, but several readers have reported good luck with it. 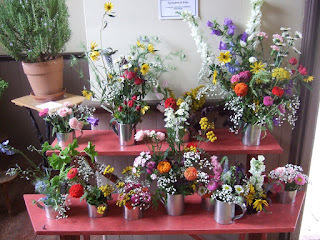 Perhaps one of the seed sites has mention of particular varieties that do well in pots. 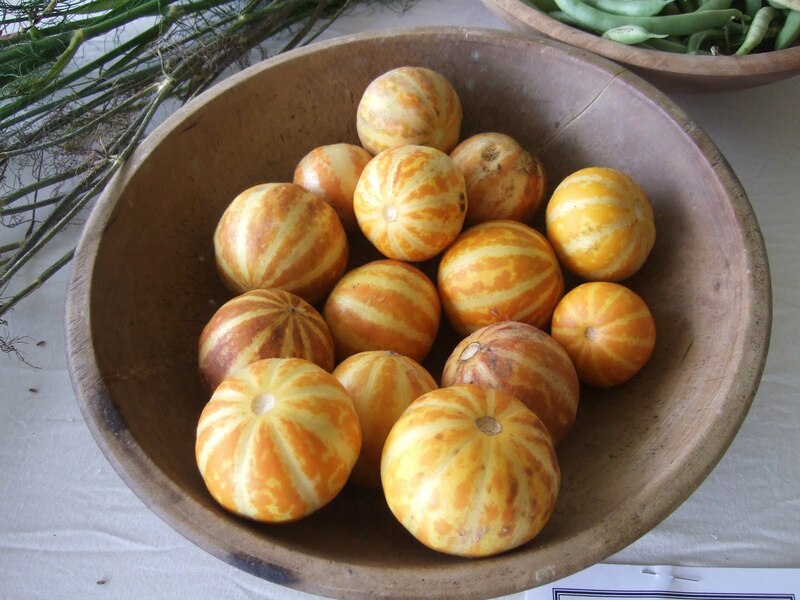 There are certain heirloom varieties that I think are so much better tasting than the ones we find at the grocery store. My yard is too shady for a garden, so I have to rely on the farmer's market to sample them. Elaine, I'm sure the vendors at the farmers' market are grateful for your business! 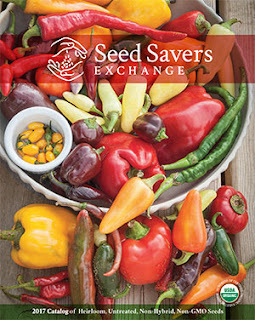 recently discovered Bakers Heirloom Seeds. 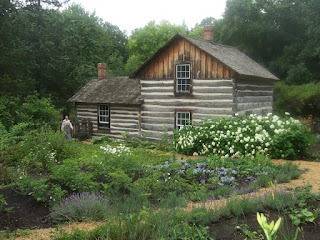 Have a trip planned to visit them and the Laura Ingalls Wilder home this summer!! Have fun! I haven't been since the new museum opened, but I've heard good things about it. A couple of years ago my mom had planted some heirloom tomatoes. They were the best tasting tomatoes ever! They tasted the way tomatoes used to taste and should always taste. She planted some again this last year but they didn't produce very many. 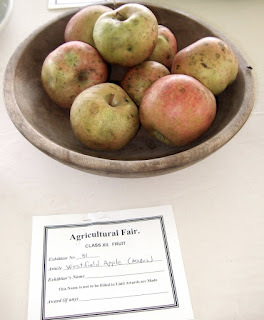 But I am sure she will be looking for the heirlooms again this year. It seems to me that tomatoes in particular have a great flavor fresh from the garden, and not much at all otherwise. I hope her efforts are successful this year! Good luck with it! That would be quite a change. Kimberly, your name is in the hat. Love my heirloom vegetables, they are so tasty. My parents were great gardeners. I wish that I had inherited their green thumbs! Thanks for this article and this opportunity to read your book. My pleasure. Happily lots of people are growing heirlooms these days, and I hope some make an appearance at a market near you. My pleasure, Marion. You're entered! That sounds like a great book. I love juicy tomatoes with just a dash of salt. on shows like chopped. I think our library has an exchange program every year. Thanks for the giveaway opportunity. 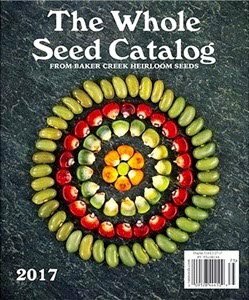 Last year my library started a program where patrons can check out a packet of heirloom seeds, and return filled with new seeds in the fall. I thought it was a great idea! Fascinating post and great pictures. Isn't it sad that all our food has to look the same and last forever? A local supermarket often has heirloom. Tastes great. It is sad. We end up often with pretty food that has little taste. Thank goodness more and more markets are offering more variety! I've tried a lot of different tomatoes over the years. Lots of diversity among tomatoes. Bill, imagine yourself president of a huge agribusiness corporation. Your scientists have developed seeds that produce vegetables that taste good, *but* their seeds are infertile. That means the growers must purchase seeds from you year after year. Put on a global scale, that means a whole lot of money is at stake. And when greed overcomes compassion, well...you can see where I'm going with this! My grandmother saved the seeds from year to year and grew the BEST tomatoes. Sadly, they are gone forever as the d=seeds were thrown out after she died. Trish, I hope it does well. Sadly I've experienced poor results with all heirloom vegetables over the past few years. Did use different companies for the seeds. The heat and rain may have also contributed to the issues. This year doing heirloom flower seeds! Crystal, I hope your flowers do great! My sister is the gardener in our family. She grows all sorts of vegetables and has tons of fruit trees. The only thing I can grow is weeds. Congratulations to Charolenne Shehorn! Her name was chosen at random as winner in the giveaway for a copy of THE HEIRLOOM MURDERS: A CHLOE ELLEFSON MYSTERY. Thanks to all who entered. Happy reading, and happy gardening!